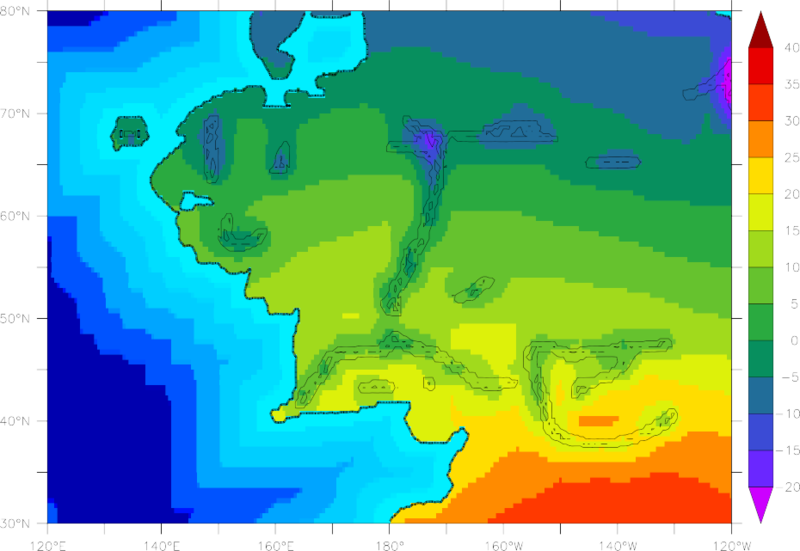 It seems that one Radagast the Brown (of Rhosgobel & The Cabot Institute) has published a paper presenting the results of his climate simulation modelling for Middle-earth. Though obviously mock-serious, the modelling and the science are real enough. Definitely worth a few of your hard-won free minutes. 1 2016-11-04: RR Auction has recycled its item numbers; this link now points to another item. 2 See The Letters of J.R.R. Tolkien, London: George Allen & Unwin, 1981, #187. 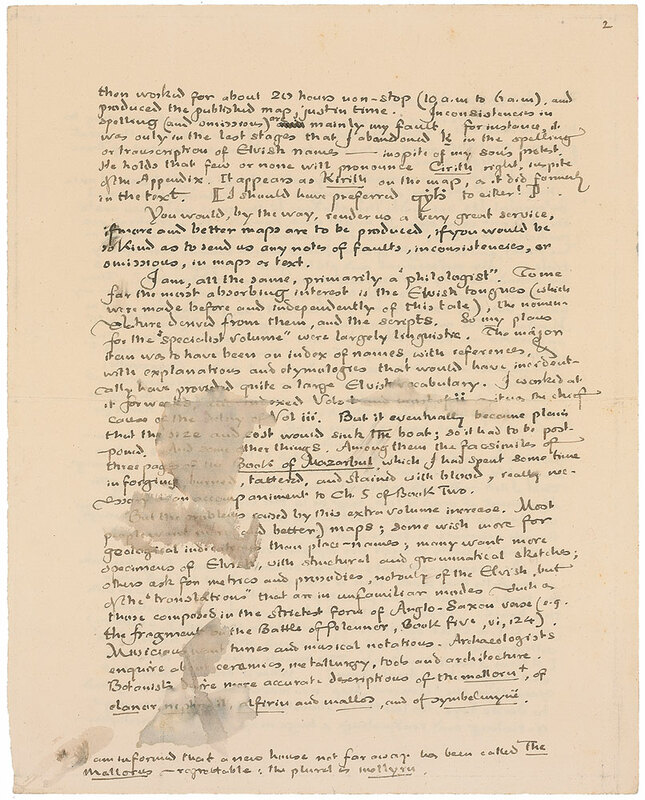 As part of the auction, RR Auction made available good-quality scans of all five pages of the letter, affording us the opportunity of reading the full text of Tolkien’s final (beautifully penned) draft for what I believe is the first time. Maps take a lot of time and work. It would of course be impossible to make a map of an ‘invented’ tale, or rather to write a mappable tale, unless one started with a Map from the beginning. That I did — though inevitably some inconsistencies, needing the adjustment of map or text, crept in in the course of a long work, constantly interrupted. But there is a wide gap between a rough map, though accurate in scale and distances, and one drawn and lettered passably enough for reproduction! You would, by the way, render us a very great service, if more and better maps are to be produced, if you would be so kind as to send us any notes of faults, inconsistencies, or omissions, in maps or text.